Wine and Roses in Lorain OH - Zelek Flower Shop, Inc.
Assorted seasonal flowers, including roses, with bottle of wine. 49.95 as shown with bottle of Raspberry Sparkletini. 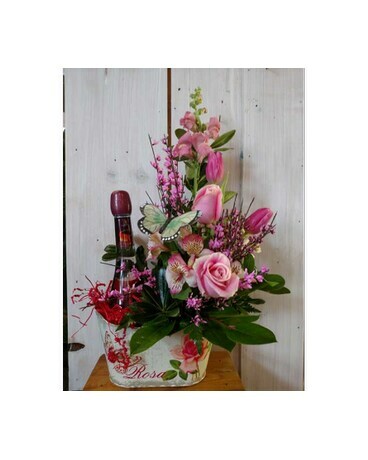 Price varies with choice of wine and variety of flowers. 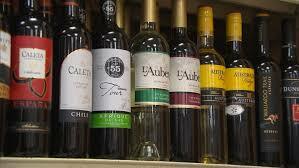 Call us for wine selection. Local Delivery only: Lorain, Amherst, Vermilion, Avon, Avon Lake, Sheffield and Sheffield Lake.